Wind can cause damage to your roof, even without hail or other harsh weather. 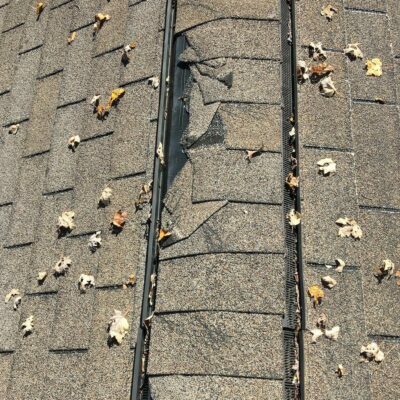 Damage to your roof can begin at around 50 mph, even when the shingle is rated for higher wind tolerance. Wind is capable of getting under corners and/or small pieces of the shingle which can curl it, or rip it off completely. This will leave your roof exposed in those areas, leading to leaks! Another danger of high winds to your roof is shingle “lifting.” High winds coming up over a roof can create a suction effect and “lift” the shingles upwards, loosening the nails which are holding them down. When this happens, the sealant between each layer can be broken, leading to leaks. Roof Leaks – These are the easiest to find, because there is water coming into your house where it shouldn’t. Call A&W Roofing immediately! 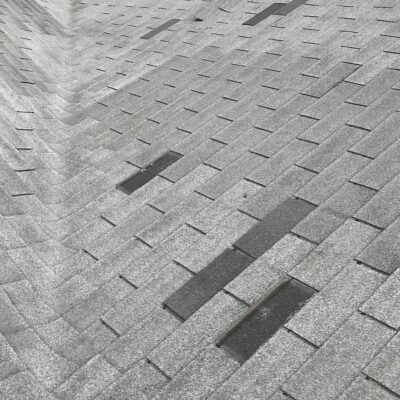 Missing Shingles – If you are able to see areas where shingles are completely missing, it is likely due to wind damage. “Lifted” Shingles – These can be hard to see unless you’re actually looking for them, because the shingles look intact from the ground. In reality, the nails have loosened, which can lead to “lifting” of the shingle, making the roof more likely to leak. Gutter – Winds and rains wash away the granules from the shingle, and send them into the gutter. If you see excessive shingle granules in the gutter, reach out to us for a free roof consultation.